Under the previous administration, Vice President Jejomar Binay attends every Rizal Day ceremony during Aquino’s years in power, even leading the rites alongside Pnoy. He had many disagreements to the administration’s moves – but kept the relationship as professional as possible. He is always present in various official gatherings of the Aquino administration. Binay kept this up even when he was openly anti-administration and had left Aquino’s Cabinet. [VIDEO]: President Duterte from the start is already uncomfortable with V.P. 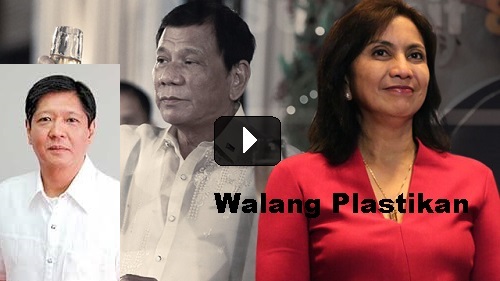 Robredo after Pastor Boy Saycon confirmed the election fraud to him based on gathered evidence – but for the sake of unity, he gave into Ramos’ request to give her a chance. Presidential Spokesman Ernesto Abella commented: “It is a prerogative of the Palace to invite those who they feel is needed to be there.” In things like this, there are no social rules that can dictate the president what to do with his detractors in elected posts. This depends largely on the character of the concerned official. Binay was too humble to be a threat in Pnoy’s presence. Robredo is seen as someone who is good on the front but backbites after the event. So, why bother? The President clarifies that there’s no fight between him and his Vice President. They just have irreconcilable differences. Robredo might be denying her joining or organizing protests against the President’s decisions in various matters but her being vocal in her beliefs that make the top leader look bad is not acceptable to any bosses. No More V.P. in Official Gatherings? The president is a very forgiving person. He displayed that attribute with the media. Earlier there was a total ban on his live appearances or broadcasts. However, that changes in time and almost back to normal now. Robredo should not have shown her pride when she immediately resigns. She should have given it time. After all, Duterte did not ask her to leave his cabinet post. Perhaps when she proves that she is on her best behavior, no doubt the president will consider inviting her again. President Duterte is such a direct person to play false pretenses with V.P. Robredo. If he is not pleased with you, he shows it. Robredo needs Binays’ patience and humility right now to survive longer. Another session with the good former Vice President Jojo Binay will definitely give her more wisdom for her situation right now.